Here’s another spring trend to brighten your day — colorful prints. 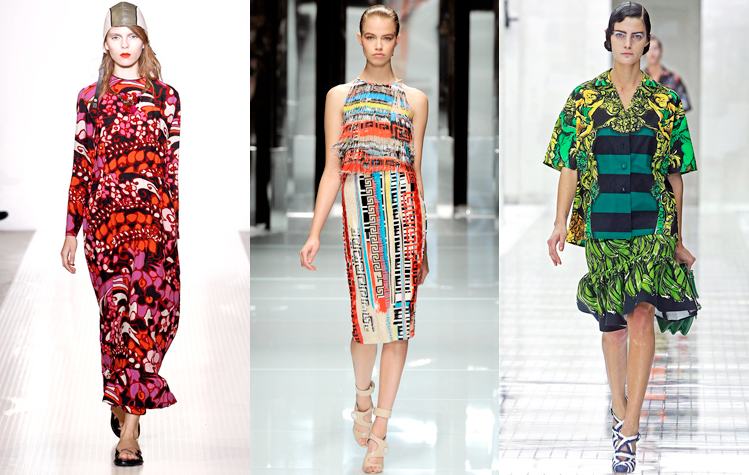 This year, patterns are varied but my favorites are the small and abstract like the ones shown here from Marni, Versace and Prada. These strong prints are best accompanied by neutral or bold, solid-color accessories in related shades. Throw on your designer shades and head out to play. It’s like wearing a fashion kaleidoscope.